This is the story of one man's dramatic conversion and the blossoming of an ever-growing group of Christians set to take Christ into the most demanding and tough urban areas of Manchester. 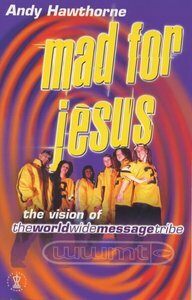 - Publisher This is the story of one man's conversion and the blossoming of an ever-growing group of Christians set to take Christ's message into the most demanding and tough urban areas. This is the story of one man's conversion and the blossoming of an ever-growing group of Christians set to take Christ's message into the most demanding and tough urban areas.